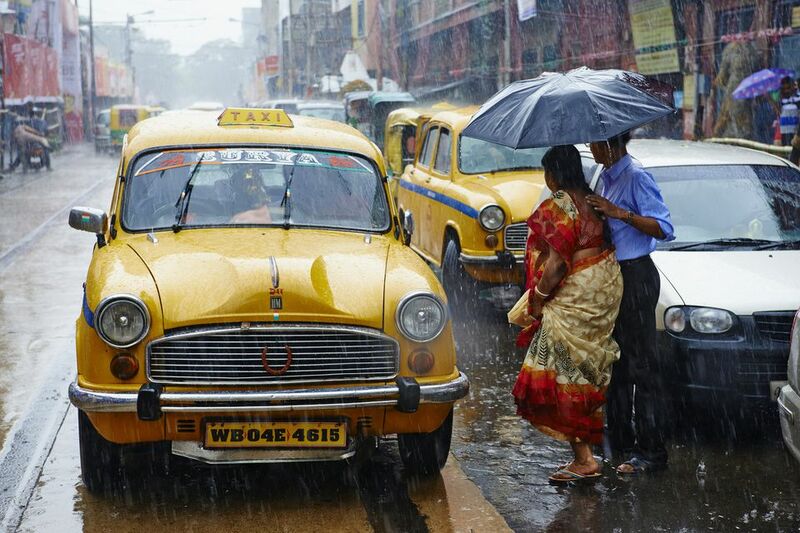 The monsoon season can make traveling more difficult in India. Although the weather remains warm, it's likely you'll have to contend with random heavy downpours of rain (that can appear out of nowhere! ), flooded streets, and plenty of mud. However, there's much you can do to stay comfortable and enjoy yourself during the rain. Here's a suggested monsoon packing list for India. A heavy duty umbrella. It does get very windy during the monsoon season and it may cause your umbrella to turn inside out if it's not strong. (Alternatively, you can easily buy cheap umbrellas in India). A raincoat. Long trench style coats work best. (Cheap raincoats can be readily purchased in India too). Knee length pants and pants in dark colors. This will help you avoid getting the bottoms of your pants wet, and will also hide splashed mud. Synthetic clothes dry more quickly than other fabrics. Suitable wet weather shoes, such as rubber sandals and flip-flops. This is most important! Wellington boots/gumboots/rubber boots are very useful, although they can be cumbersome to carry in your luggage (you will have to search to find them for sale in India, as they're not readily available). It can get hot wearing them too. Don't wear canvas shoes or sneakers, as they'll quickly get ruined. Check out the waterproof footwear made by Crocs. The new designs are quite fashionable! First aid supplies, particularly disinfectant scrubs and adhesive bandages/plaster. A small, absorbent hand towel. A small, waterproof backpack to carry a change of clothes in (just in case you get caught in the rain!) and other emergency items. A plastic case or waterproof bag for electronic items such as phone, camera, wallet, and passport. A hairdryer, not just to help you avoid catching a cold from wet hair but also to quickly dry underwear. A mosquito net, if you plan on staying in budget places where mosquitoes are unavoidable. For ladies, waterproof makeup! And, if you're concerned about the state of your hair, anti-frizz product (the high humidity will make a mess of your hair). The amount of monsoon rain that you'll have to contend with will depend on where in India you visit. Some regions, such as Rajasthan, receive less rain than others. Another concern is staying healthy during the monsoon. Dengue, malaria, and viral fever are common health problems, along with water-borne contamination and fungal skin conditions. Sanitation, while not great at the best of times in India, really deteriorates during the monsoon season. Hence, it's especially important to pay attention to the hygiene of water and food.